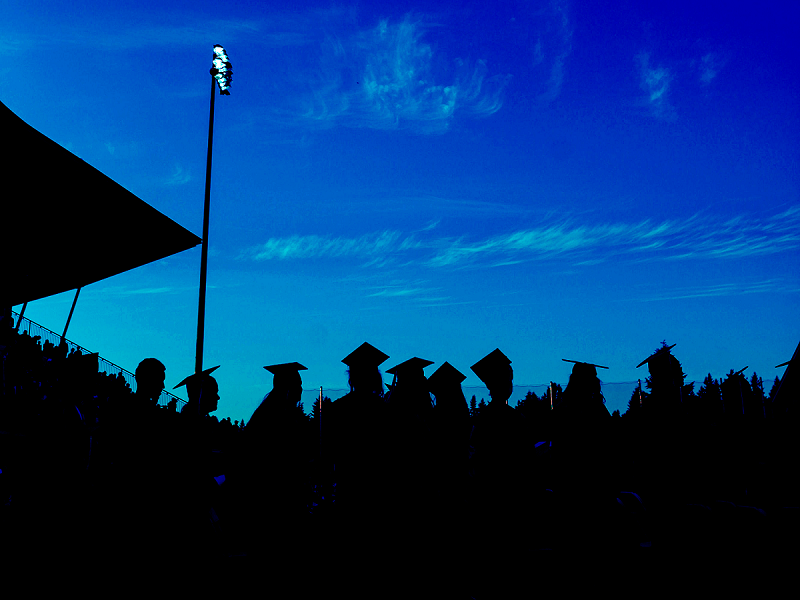 South Puget Sound Community College (SPSCC) will celebrate more than 1,500 graduates at the 2018 commencement ceremony next Friday at Tumwater High School's Tumwater Stadium. The College's 53rd commencement ceremony will be held at 6:00 p.m. on June 15, 2018. This year, the College will award 1,847 associate degrees and certificates to the 2018 graduating class. Additionally, the College will award 471 high school diplomas and GEDs, totaling 2,318 awards. Standing out in academic success this year are the 1,034 graduates earning Transfer Associate Degrees. With an average GPA 3.44, this group of transfer degree students may enter a Washington State public university as a junior. Former professor and counselor Yolanda Machado will deliver this year’s faculty address. The student speaker for the event will be Danny Case. Case will tell the transformative story of his journey of academics and sense of self since childhood, including the impact that SPSCC had on him. Case has served on the Student Senate as the Senator of Diversity & Equity Affairs and plans to enter the workforce after SPSCC before pursuing a bachelor's and master's degree in the future. The commencement ceremony will draw from the historic academic pageantry and traditions of the Middle Ages, including a processional by Clan Gordon Pipe Band and the cap, gown, and hood typically worn by graduates, faculty, and staff. Ceremony information and directions can be found on the Commencement page. Graduates, friends, and family can help share the success of SPSCC's class of 2018 on social media with hashtag #sailandprevail.